V2802RGW terminal devices are designed for fulfilling FTTH and triple play service demand of fixed network operators or cable operators. These boxes are based on the mature Gigabit EPON technology, which have high ratio of performance to price, and the technology of 802.11n WiFi (2T2R), Layer 2/3. 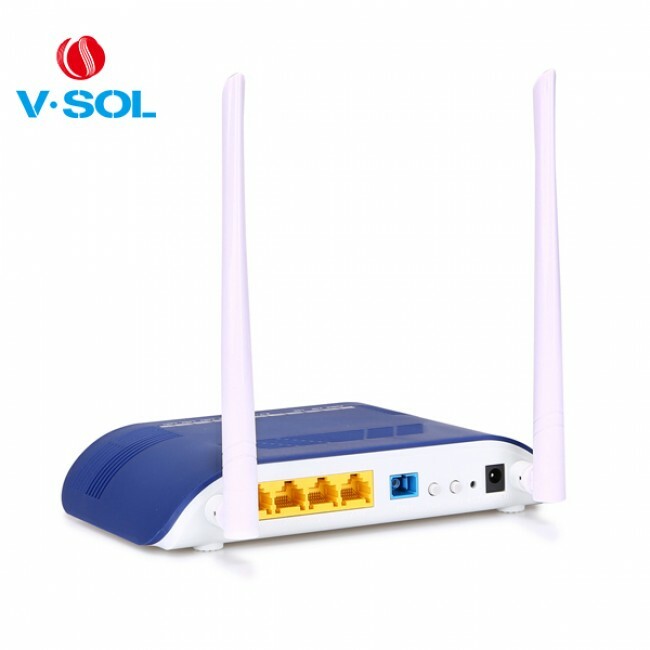 They are highly reliable and easy to maintain, with guaranteed QoS for different service. And they are fully compliant with technical regulations such as IEEE802.3ah and technical requirement of EPON Equipment from China Telecom. 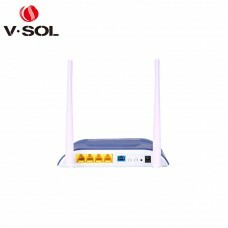 8 indicators, for status of power supply, PON, LAN ,WiFi. · Fully compatibility with OLT based on Broadcom/PMC/Cortina chipset. 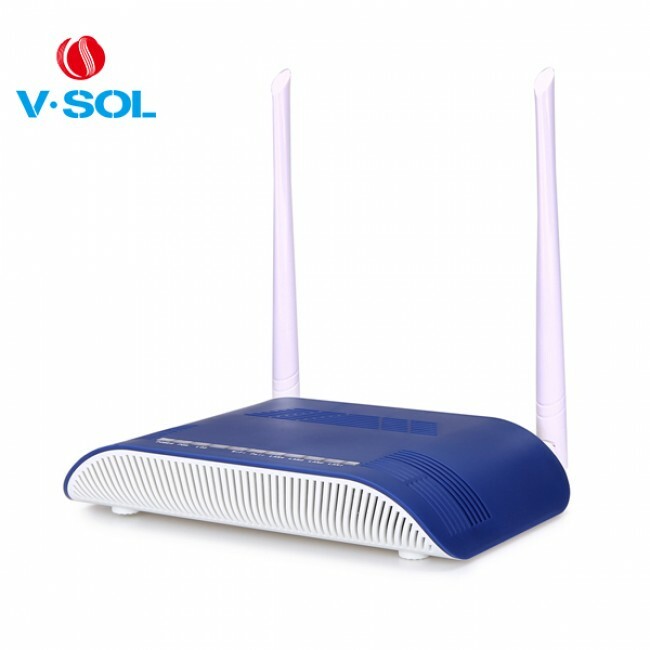 · Support 802.11n WiFi(2T2R) function. · Support NAT, Firewall function. · Support IPv4 and IPv6 dual stack. · The WAN port supports bridge, router and bridge/router mixed mode.